New. Advanced Night Repair Eye Serum Infusion. 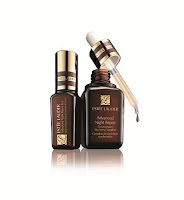 Super-potent, fast-penetrating serum to repair the delicate eye area at deeper level. Share your ANR Eye Serum Infusion testimonial with Estee Lauder from 21st Jan till 21st Feb and stand to win one of 10 bottles, worth RM230 each! Write to Estee Lauder at info@esteelauder.my with a picture of yourself & your full name to be featured in Estee Lauder testimonial gallery. If you are the top 10 based on the most 'Like & Share' in the app (50%) and Judges' choice (50%), a bottle is yours. Estee Lauder look forward to your testimonials! * Please allow up to 72 hours from submission for your entries to be uploaded into the application.